Universal Lighting Services Ltd is a family-run supplier of commercial and decorative lighting to the public, trade and lighting specifiers from its offices, warehouse and showroom situated in Birkenhead, Merseyside. We recognise that our organisational activities result in emissions to air and water, and the generation of waste. We comply with all current legislation and all other lawful requirements. We are committed to continue to reduce the environmental impacts of our business and operate in a responsible manner. This environmental policy describes how we will achieve our aim. This environmental policy applies to all of our operations including management, retail sales, packing, despatch, printing, delivery and procurement. Mr S. Yehya is responsible for ensuring that the policy is implemented. However, all employees have a responsibility in their area to ensure that the aims and objectives of the policy are met. It will be monitored regularly to ensure that the policy achieves its aims and this information will be communicated to all staff. Use sustainable biodegradable packaging whenever possible. Eliminate the use of plastic based packaging we use. Recycle or reuse cardboard whenever possible. Continue to comply with all aspects of the WEEE 2007 Directive (The Waste Electrical and Electronic Equipment Directive). Reduce our impact on the environment by reducing our carbon footprint. Remain a carbon neutral company. Reduce our printing paper consumption. Further refine best practice for the use of packaging by ensuring that employees involved in the dispatch of items are suitably trained and understand the issues and by incorporating this training into the induction programme for new starters. Monitor our energy consumption and make further savings wherever possible. Progress against these objectives will be monitored continuously by Mr S. Yehya. Universal Lighting Services retains ISO14001 and becomes carbon neutral. In January 2015 we commissioned the installation of an additional 5Kw of photovoltaic panels to supplement the existing 10Kw Sharp panel installation. Sharp have now moved all of their manufacturing from Wrexham to Japan, so this time we used Romag panels from a UK manufacturer located in County Durham. Once again, this keeps the cost of purchase within the UK and the local economy. 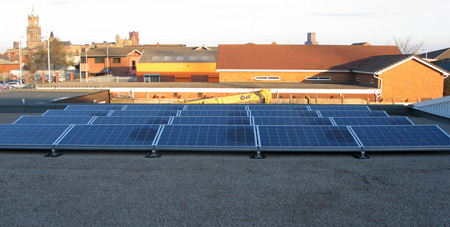 The new 15Kw solar energy system generated 14,250 kWh during 2018, which amounts to an annual reduction in CO2 emissions of around 10.5 Tonnes using the DEFRA emission conversion factor. Our total annual electrical energy consumption is 12500kWh. This is a substantial reduction in our emissions, a considerable saving in our electricity costs and takes us to our goal of being the only carbon neutral lighting specialists in the UK. In fact, Universal Lighting Services is now a nett energy exporter. 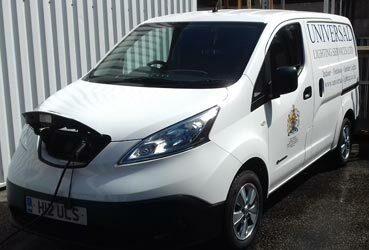 Our zero emissions all electric delivery van has proved to be a complete success. 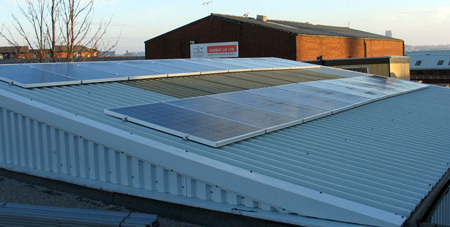 This is charged during the day using the extra capacity from the additional 5Kw panels at no additional cost to the business. We no longer purchase any fossil fuels to complete our local deliveries and all long-distance deliveries are sent with DPD who are a carbon neutral company. Energy efficiency and environmental impact. Our showroom has occupancy sensors for all of the lights on display. These automatically switch sections of lights on as a person walks around the showroom. This has reduced the display energy consumption by 75%. All showroom lighting that is permanently on has been fitted with LED lamps resulted in an energy saving of 90% compared to incandescent lamps and 60% in relation to low energy fluorescent lamps. In addition there are fewer lamps to dispose of resulting in a reduction in our electrical waste. We recognise that sourcing products locally can play a great part in reducing our company’s carbon footprint. To that end we are always looking for UK based manufacturers. This provides work for people who contribute towards the UK’s economy and considerably reduces our carbon footprint through greatly reduced transport requirements. I am pleased to report that throughout recent years we have been successful in our endeavours and have managed to double our UK based manufacturers. We own our showroom, offices, storage warehouse and dispatch warehouse. These amount to an area of over 1000m2 and were previously heated using storage and warm air heaters. There is no gas supply to our premises. Our offices, warehouse and showroom are now all heated using Mitsubishi air heat source heat pump inverters. They take air from outside and extract the residual heat from it then heat the inside space with warm air. These are extremely energy efficient with a COP (Coefficient of Performance) of 3.83. This has resulted in a 50% reduction in our energy consumption for heating the premises as compared to storage or fan heaters. We use DPD for all of our national and international deliveries. DPD are the leaders within the parcel delivery industry in reducing CO2 under their voluntary Total Zero policy. 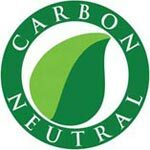 All parcels sent through its network are carbon neutral at no extra cost to the customer or consumer. We recognise that by using cardboard boxes and other packaging we are consuming valuable resources. All delivered boxes and packaging are stored in our dispatch warehouse and reused when possible. Since starting this exercise we have reduced our consumption of boxes and packaging by 60% per package shipped. We have sourced a cardboard only bin that is collected every two weeks and taken away to be recycled and reused. Our used printer cartridges are collected regularly by a local charity to be refilled and sold on to be reused again. We are a real living wage employer and accredited with The Living Wage Foundation. This means that all employees at Universal Lighting Services are paid the real living wage or more. We believe that our staff deserve a fair day’s pay for a hard day’s work. This is an investment in our people based on our values and belief that a team with good pay rates and excellent working conditions go the extra yard to provide you with a great customer service experience. We have long recognised our local social responsibilities and have always tried to put something back into the community. The company supports local charities such as Claire House Hospice, a local registered charity that provides seriously ill children with respite, palliative and end of life care. This is a long-term commitment to local charities that will continue as long as the current directors are able to so do.